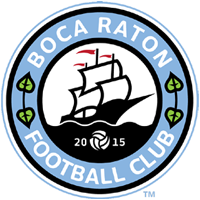 BOCA RATON, FL — In order to create a better atmosphere for trialists at Boca Raton Football Club, the club has announced today a revolutionary way to host tryouts that will begin with the open tryout on January 27. Starting today, Boca Raton FC will no longer prioritize one-day tryouts for aspiring players, rather, the club will now focus on tryout camps where trialists will be able to train with the Boca Raton FC team for a week of training and could be extended for as long as the coaching staff desires. The move is beneficial to not only the players, but also the coaches, who will be able to see the player in the way they interact with other team players, ownership, and the rest of the coaching staff. Boca Raton FC understands that sometimes a player puts all their efforts in one day and that day could sometimes not be their best. By having the Tryout Camp, players will be able to be evaluated for a longer period of time and they will not have the pressure of the one-day tryout as before. Because of this new way of tryouts, the January 26 tryout at Cypress Park has been canceled and no walk-ins will be accepted. Players who wanted to walk-on will now wait until the next Tryout Camp window that opens on February 1 and will run until February 25.